No matter how much experience Robert Walker has, it may not be enough for him when he does battle with the 14,110 foot Pikes Peak Mountain west of Colorado Springs. 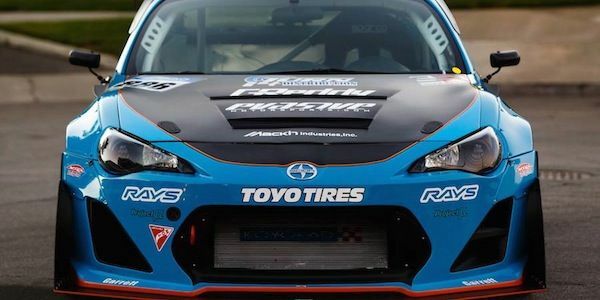 Walker will attempt to win the Time Attack 1 Division at the 93rd running of the Pikes Peak International Hill Climb in a new Scion FR-S sports coupe that is built by Mackin Industries. It’s the most extreme motorsports race on the planet and it will humble even the most experience racers. Scion Racing says, it happens under “The most extreme conditions in motorsports.” For 2015, Walker will be at the wheel of the Mackin Industries FR-S, in the Time Attack 1 Division for production-based two-and four-wheel drive vehicles. It’s his third attempt to tame Pikes Peak. Both driver and cars are subjected to the extreme altitude that puts both car and driver at the mercy of the conditions. It can be sunshine one minute, and snowing a few minutes later. That’s life at high altitude that most people don’t understand unless they live here. It will challenge the most experienced drivers. That’s why automakers test their new vehicles here before they ever see production. To see if they can handle the most extreme conditions. Even Sikorsky helicopters brings their new flying equipment to Leadville Colorado to test them at 10,000 feet elevation to see how they perform. The weather can play a big role on the challenging 12.5-mile, 156-turn course that ascends to the summit 14,110 feet above sea level. The road surface conditions can vary literally by the minute on the mountain. It’s not uncommon for the drivers to encounter heavy rain and even snow enroute to the summit. The type of tires they select at the start may not be what they need at the top to make a successful run. Scion Racing knows how tough this course is, it’s their fifth consecutive year. They had Ken Gushi pilot an FR-S sports coupe at last year’s event who earned a Third place podium finish in his category. This year, Scion Racing teams up with Mackin Industries and Robert Walker to see if their Scion FR-S can handle the mountain. The Mackin FR-S is a collaborative effort between Mackin, Evasive and GReddy. The sports coupe was rebuilt by Evasive using all-new GReddy hardware to create a more durable and powerful engine that can stand up to the high altitude. A new V-mount radiator setup and center exit exhaust was added, it gets and upgraded transmission, suspension and braking. Outside the new FR-S, Evasive added aero enhancements to the existing Rocket Bunny body kit, including new air intake ducts and a front APR splitter/canards to the bumper. In Scion Racing’s fifth consecutive year at Pikes Peak, we’ll see how Robert Walker does in the Mackin Scion FR-S in Colorado’s legendary Pikes Peak International Hill Climb on June 28. Stay tuned. Watch Ken Gushi pilot the GReddy Racing Scion FR-S at the 2014 Pikes Peak race. "It’s the most extreme motorsports race on the planet" Look, I LOVE the Pikes Peak International Hill Climb. That being said, it is not as extreme as the Isle of Man TT, nor the Dakar Rally, just to name two. Isle of Man TT and Dakar are both very extreme, I agree. Carlton Sorensen, a pro bike racer was killed yesterday while practicing for the race. About 3 hours after the crash, six people and one vehicle were struck by lightning near the top of the mountain. The elements make it extreme. Thanks for reading!